Elephants are one of the most and beautiful animals. They are the largest animals on land. Do you like to learn draw elephants? Why do you hesitate, just take a paper and start drawing elephant. Here are our elephant drawing instructions. 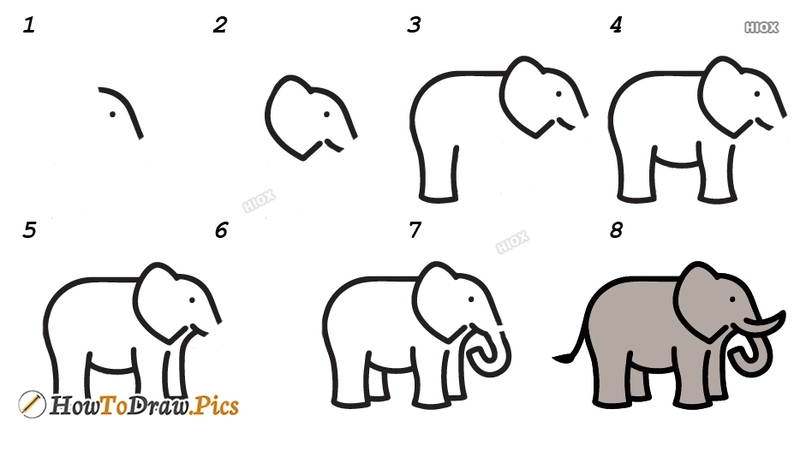 Follow through the step by step elephant drawing tutorial given in this page and become an expert in drawing elephant cartoons. Adult elephants eat 300-600 pounds of food everyday. Elephants have poor eyesight but excellent hearing and sense of smell. An elephants brain is up to four times larger than a humans. 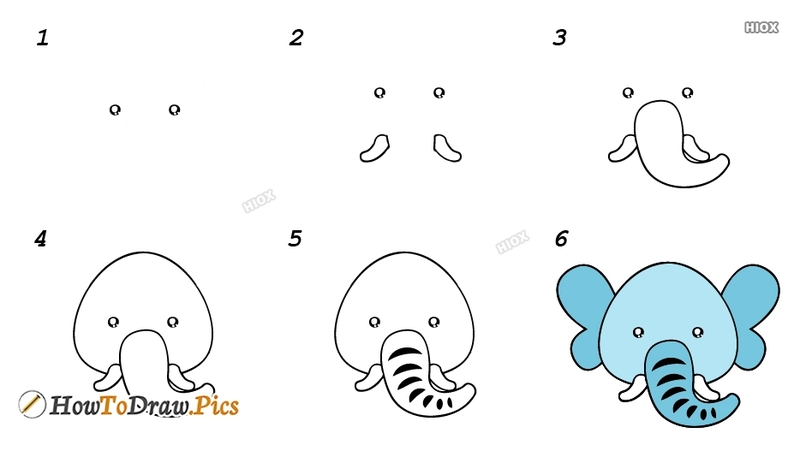 How To Draw An Elephant Step By Step? It is known that Elephants are clever animals. Elephants only eat plants, grass and fruit. This section contains some useful elephant drawing instructions for you to use in your drawing books, to design a drawing book, to teach children how to draw elephants, etc. Also you could find here some interesting information and facts about elephants like "The Asian elephant has one finger on the end of the trunk the African has two. ", etc. The leader of the herd is usually the oldest female – she is called the Matriarch. The only males in these herds are the young calves. Elephants are the largest land mammals.